At Camso, formerly Camoplast Solideal, we make tracks like no other. Here’s a snapshot of what goes into our tracks. Manufacturing – where does it start? Everything starts with a very simple question: Is there a better way? Is there a better way to drive farming forward? Is there a better way to manufacture products to help maximize a farmer’s yield and capitalize on crop production? At the end of the day, the farmer is at the heart of everything we do. Understanding the farmer is really important. We speak to them constantly and we listen carefully. We gather the voice of the customer to ensure that we understand their needs and identify track mobility solutions to put through our product development process. This is a combination of natural rubber, carbon black, oils, fillers and accelerators. The components used are common with most high-performance rubber materials. But in general there are three principle components that make up a track: compounds, cables and biases. The quantity of each will vary according to requirements of the product, its application and how it needs to interact with its environment. Tracks can have a number of layers in them. In our tracks, you can find up to four ply layers. This number will vary depending on the product being used for any given application and the performance requirements of the vehicle in that application. Life expectancy, load and speed requirements come into play here. At Camso, we recently launched two industry-leading, high-performance agricultural tracks that redefined the industry standard. Our Durabuilt 4500 [MB1] and 6500 track series[MB2] are manufactured with different layers and are engineered and tested under a wide range of farming applications. This unique, endless, single cure technology allows for even ply and cable placement which results in improved performance, track durability and extended track life. This technology allowing us to cure all the layers and components both physically and chemically in one single process. The benefits: reduced manufacturing time and a product that comes off the line as close as possible to its final product form. What does this mean? 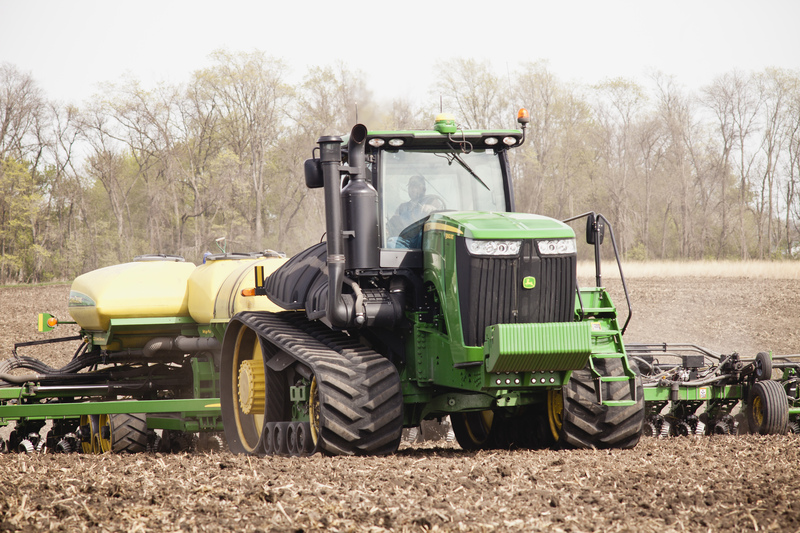 Better tracks for the farmer and a lower operating cost solution. Need more? Check out this video!